Welcome to Ward 5 Online: Senator Capuano? 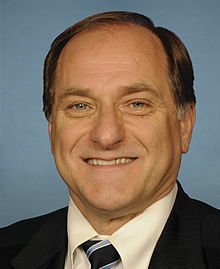 You know how I love me some political suspicions over here at Ward 5 Online, so it should be of no surprise that I would post about Congressman Mike Capuano's recent revelation that he would consider running for John Kerry's seat should Kerry accept a cabinet position from President Barack Obama. Fatigued from losing to Elizabeth Warren, would Scott Brown light up the fires in his campaign again for another run? Is this Cappy's chance? Comment your thoughts! I'd vote for Mike, then, seeing as my first choice isn't in the race. Cap should run, he can win this time based on the big blue wave of last election. I'm afraid of losing am average guy progressive in the house though if he loses. Weighing the risks, I'm afraid to lose him too. Curtatone running? Or is he still going for Governor? I heard Joe C is still looking at governor and Cap had been preparing his wife or sons to run for Congress when he leaves. Having been to a few of his campaign events the last time he ran for senate, his family was pushed hard as surrogates in the district and got very good reviews. Joe C would be a great governor. One of 435, not as much.